MINTCOMBINE LAUNCHES A WORLD FIRST: “Beyond Bitcoin Expert Calling Network” Demystifies Bitcoin, DIGITAL CURRENCIES AND THE BLOCKCHAIN FOR INDIVIDUALS, SMBS AND NONPROFITS. New York City, NY (October 15, 2014) Launching today, The Beyond Bitcoin Expert Calling Network,(BBECN) is an innovative new service that provides access to thought-leaders and experts, covering a wide range of the Bitcoin ecosystem. It is the world’s first expert calling network devoted to all things Bitcoin - including Altcoins and Blockchain applications - and features well-known experts who speak around the nation, and the world, on the subject.Bitcoin and the Blockchain may be the most important innovations since the introduction of the Internet. Many businesses, as well as the general public, want to understand this disruptive technology. 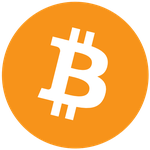 The BBECN is a web-based service that allows anyone to speak directly to leading authorities in Bitcoin and related digital assets and platforms. It features a hand-selected group of recognized experts in the field, and covers a wide range of game-changing categories that can help callers make more informed business and technology decisions, for multi-sector growth.“There are many of questions about Bitcoin and the new applications it makes possible. Professional digital currency consulting can be prohibitively expensive for ‘real people’ who run small- to medium-sized businesses, and budgets don't necessarily allow for companies to attend the growing number of cult-like Bitcoin conferences, so the BBECN provides an affordable entry to high-level understanding.”, stated Rik Willard, CEO of MintCombine, Inc., the BBECN’s Network Sponsor.The BBECN provides cost-effective access to the same professionals hired by large corporations for many thousands of dollars. It is designed to give callers - especially individuals and small businesses - a better understanding of the Bitcoin ecosystem without breaking the bank. Willard believes that this will let people plan for what is coming more effectively, and armed with timely and relevant information.BBECN Expert Joseph Lubin, COO of Ethereum says the service is necessary because “… the decentralization revolution is happening in many industries and monetary and political systems around the globe. Pushing knowledge, technology, power and control down to the grass roots of society is forging fairer and more flexible systems. You can see this in peer-to-peer, sharing-economy businesses like Uber, Lyft, Airbnb, and TaskRabbit as they disrupt industries that were somewhat stagnant by streamlining old business models. Decentralized, blockchain-based, consensus formation technologies, like Bitcoin, Ethereum, and others enable this trend to progress to the next level”.Following Lubin’s logic, Willard added, “This information is no longer exclusively for the elite tech world, fanboys, and large corporations. Digital currency ecosystems will affect how we transact business, write contracts, interact online, support causes, promote products and grow markets… and it is all happening NOW. Through the BBECN, real people and businesses will finally have direct access to the experts who are defining the way forward.”BBECN Experts cover a broad range of “mainstream” topics including technology, regulatory issues, marketing, and even the music industry. They were selected based on their ability to translate complex concepts into practical, useful information. The BBECN launch features the following Experts:Juan Llanos, Nationally acclaimed Anti Money Laundering and Financial Compliance expert, and a TED speaker.Joseph Lubin, Chief Operating Officer of Ethereum, a “Bitcoin 2.0” entity that recently completed a $15 million raise.Rik Willard, CEO of MintCombine, which creates digital asset-based consumer engagement programs.Tatiana Moroz, Singer/Songwriter who issued TatianaCoin, her own digital currency, to help finance her music career.Ray Garcia, Digital payments expert.Adam Levine, Founder of Let’s Talk Bitcoin and the LTB Coin.More experts will be added to the service each month.The BBECN platform is provided by Fanaticall, Inc. a Washington DC-based company that creates customized Expert Calling Networks. It is sponsored by MintCombine, Inc., a think-tank and product lab for digital assets including Bitcoin, Altcoin and Blockchain applications for consumer engagement, is the Network Sponsor. "Digital currencies and their supporting ecosystems are complex, changing rapidly, and will have a profound impact on our lives,” stated Brian Christie, CEO of Fanaticall. “We are pleased to provide the technology that powers the Bitcoin ECN as it showcases how an Expect Calling Network can help make knowledge sharing more accessible to everyone. "Interested parties can send an email to bitcoinecn@gmail.com for more information, or call 646-807-8170.About MintCombine, Inc.:MintCombine, Inc. is a bespoke digital asset developer for a new world of “Enlightened Consumer Engagement”. With expertise in global branding and advanced technologies, its network of digital and marketing professionals design solutions for clients to help them benefit from emerging digital currency ecosystems. As the BBECN network sponsor, MintCombine sets the benchmark for creating understanding, transparency, efficiency and results for all client stakeholders. Beyond Bitcoin Expert Calling NetworkSM and BBECNSM are Service Marks of MintCombine. Read more at www.mintcombine.com.About Fanaticall, Inc:The BBECN platform is provided by Fanaticall, Inc. a Washington DC-based company that creates customized Expert Calling Networks. MintCombine, Inc., a think-tank and product lab for digital assets including Bitcoin, Altcoin and Blockchain applications for consumer engagement, is the Network Sponsor.